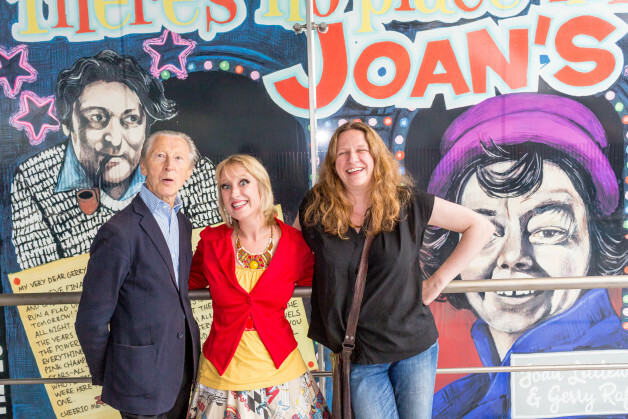 Roll up for a Joan Jamboree! Join us on Sunday 4th October, 5pm, on the beautiful main stage at the Theatre Royal Stratford East for an evening of music, magic, monologue and mime inspired by the spirit of revolutionary theatre director Joan Littlewood. Our heady “montage of attractions” includes the mime fabulism of performance phenomenon Dickie Beau, the political (dis)enchantment of Socialist magician Ian Saville, and the fiercely brilliant spoken word of Rhythm of Men, in an evening hosted by stars of stage and screen Wendi Peters and Marcus Ellard. This is a knees-up not to be missed! For tickets and more info, see the Theatre Royal Stratford East website.